California Sen. Kamala Harris said America is “forever grateful” to its allies and mutual trust will survive President Trump’s recent criticism of Canada, Germany and other NATO countries. 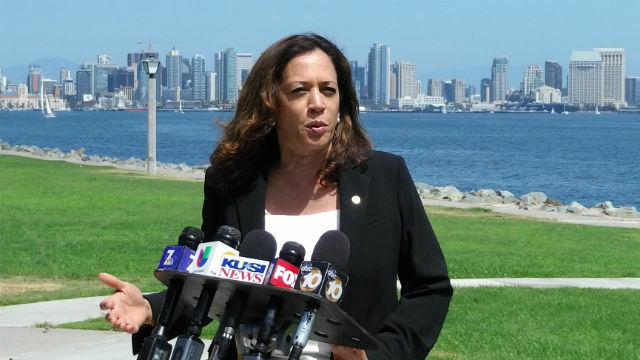 Harris spoke briefly to the media on Harbor Island after touring the USS Scranton, a nuclear attack submarine based at Pt. Loma. Her comments about America’s alliances came as 25 nations — including Canada and Germany — are joining the United States in the biennial Rim of the Pacific Exercise off Southern California and Hawaii. 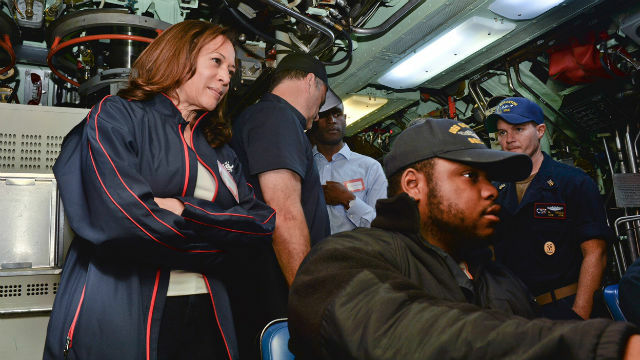 The submarine she toured is 27 years old, and she said the United States needs to maintain shipbuilding to stay ahead of China and Russia. “I want to make sure that we have the best fleet in the world,” she said.